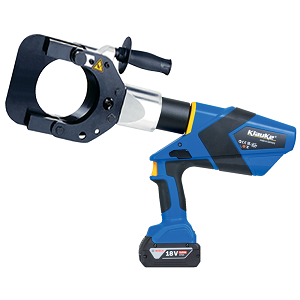 Our hire fleet cordless battery cable cutters are able to cut armoured copper and aluminium cables upto a massive 105mm diameter. The cordless cable cutters have a simple one button system for controlling all the tools functions and a balanced centre of gravity for ease of operation. The cordless cable cutter has auto retract function once the the cut is complete and also auto retract stop functionality. The two stage hydraulic system on the cordless cable crimper allows for fast contact with the cable then followed by powerful cutting.. The tool also comes with an integral LED for the illumination of the work area.